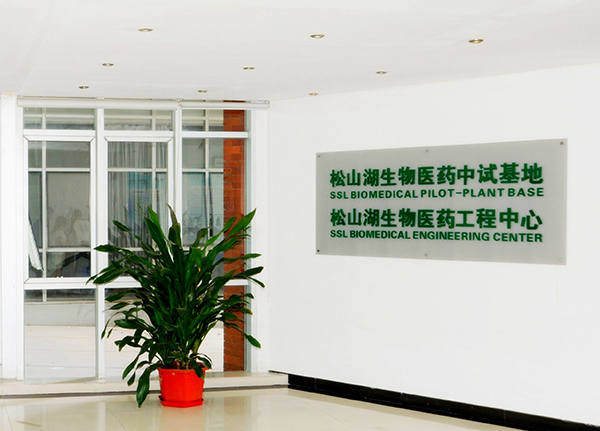 Approved to be established by the Science and Technology Commission of Guangdong Province, the Songshan Lake Biopharmaceutical Engineering Center is a public R&D platform of biopharmaceuticals jointly constructed by Dongguan Pioneer Park for Returned Overseas Personnel and Dongguan Kaifa Biopharmaceuticals Co., Ltd. Engaged in pharmaceutical synthesis, pharmaceutical preparation research, pharmaceutical analysis and detection, pharmacologic and pharmacokinetic researches, the Center provides specialized services for biopharmaceutical enterprises and individuals in the park. Gathering in the Center are a number of returned overseas personnel, doctors and postgraduates in China and specialized undergraduate technicians graduating from national key universities. Holding a senior title, most of them are familiar with the whole process from project initiation to approval application of chemical pharmaceuticals, and have rich theoretical knowledge and practical experience in pharmaceutical synthesis, pharmaceutical preparation, analysis and detection. Now the Center has been equipped with a series of internationally advanced equipment, including API 3200Qtrap HLPC-MS, Agilent 1200 LC system, Shimadzu ultraviolet analysis system, microsurgery system, complete robotic surgery equipment, laboratory animal isolated breeding system. A fully functional laboratory system has been established, composed of Chemosynthesis Laboratory, Chemical Analysis Laboratory, Instrumental Analysis Laboratory, Pharmacological Experiment Laboratory, Pharmacokinetics Laboratory, and Pharmaceutical Preparation Laboratory.